In Southwest Asia only a handful of prehistoric sites attest to the aggregation of hunter-gatherer groups including evidence of individual dwellings, tents or hut structures. Palaeolithic huts are depicted as mere ephemeral shelters, rather than as places ‘built’ into a landscape with meaning beyond refuge from the elements. Dating from ca. 21,000-18,000 yrs cal before present, Kharaneh IV, in eastern Jordan, covers more than 21,000 m2, making it an exceptionally large and dense Palaeolithic site. The site served as an aggregation center for hunter-gatherer groups from throughout the region and dense, repeated occupation of the site over almost a thousand years led to the formation of a complicated, high-resolution stratigraphic record of site use. 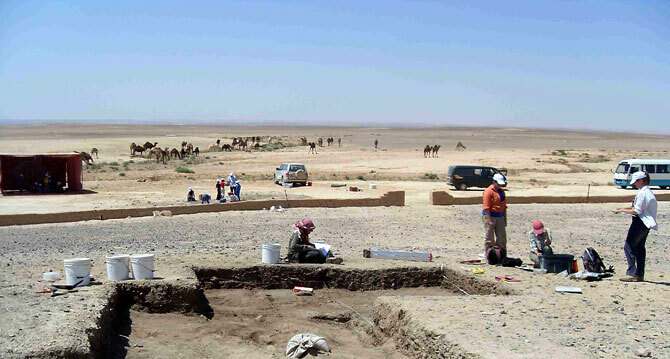 The Epi-palaeolithic Foragers in Azraq Project (EFAP) examines the evidence for Palaeolithic structures in Southwest Asia, offering insights into the complex ‘functions’ of hut or tent–like structures and reconstructing the way hunter-gatherers built and used places and spaces. The well-preserved site contains hut structures, hearths, living surfaces, middens, and human burials. The incredible size of Kharaneh IV, as well as a richness of stone tools, fauna, worked bone objects, red ochre, marine shell beads, and charcoal remains, provide a rare opportunity to reconstruct evidence for long-term occupation, house construction and use, food surpluses (storage and feasting), long-distance interaction networks, treatment of the dead, and caching of utilitarian and symbolic objects by these hunter-gatherer groups. Since 2010 we have focused excavations at the site on several hut structures, using a variety of analytical methods to document the activities of prehistoric groups at the site. Well-preserved hut structures are incredibly rare at Palaeolithic sites in this region, yet are providing exciting data on how hunter-gatherers were settling into and modifying their landscape in Southwest Asia 20,000 years ago. We reconstruct these activities to explore the idea that hunter-gatherers had “homes” that included both hut structures and broader social landscapes. 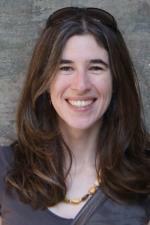 Lisa Maher is an Assistant Professor in the Department of Anthropology at Berkeley. Her research focuses on hunter-gatherer societies in the Near East, North Africa and Arabia with the aim of reconstructing human-environment interactions during the Late Pleistocene. The transition in this region is well-studied, but tends to focus on the later Neolithic as heralding the beginnings of a series of significant changes in human social organization, economy, technological innovation, and ideology. She is interested in the periods leading up to farming – the 10,000 years or so prior – when these changes first manifest in the archaeological record in the form of intensified plant use, increased sedentism and population aggregations, architecture, complex site organization, far-reaching social interaction networks, and elaborate mortuary practices. Notably, it is during these periods, the Epi-Palaeolithic and the early Neolithic, when we see significant changes in human behavior with the intersection of regional-scale climate change and humans agents of landscape change.